It's a Branding Jungle Out There! If you're looking for labels Silverback labels are the answer…. At Bizgraphics the Silverback brand is our answer to all your label needs. We have the label you want, when you want it. 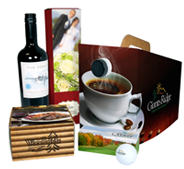 Silverback-Bizgraphics produce high impact pressure sensitive labels that create, reinforce and capitalize on brand recognition. With over 20 years' experience and highly knowledgeable staff, we offer a complete solution that will satisfy the requirements of your next label project. We're passionate about labels and experienced in label logistics. 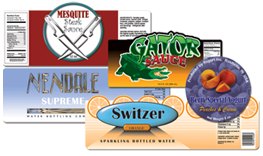 Silverback-Bizgraphics can design and produce any label design tailored specifically to fit most any label application requirement. Then deliver the labels on time. We accomplish this with our diverse group of manufacturing partners. We offer vendor managed inventory services whereby we will produce a volume of labels to be stored in our warehouse and released according to the needs of our clients. In addition, our representatives routinely perform on site inventories at our local and regional client's locations. This insures there are always labels on the shelf and that proper procurement procedures are in process. All of our labels have quality and performance value. We will exceed expectations and provide a high degree of satisfaction for your demanding brand requirements. Our focus is on you and your Brand. For more information please select the digital tab on the menu.